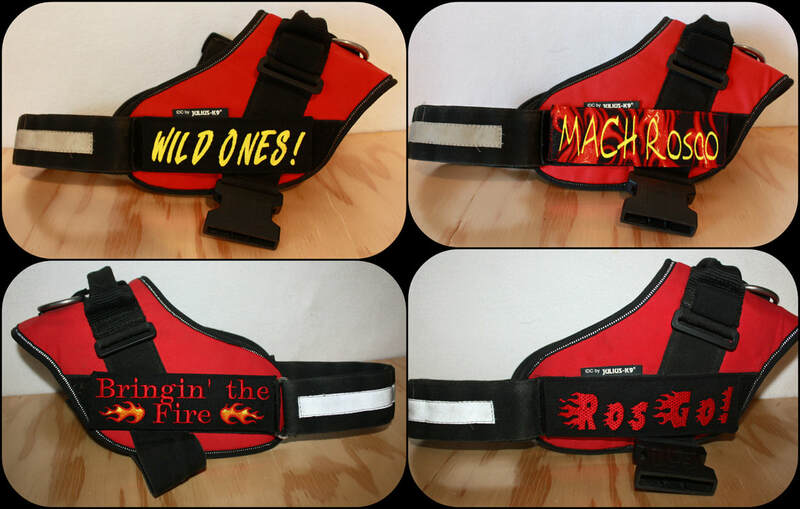 These harness labels are designed to be used on the Julius K9 Power Harness and the Brilliant K9 Harness and similar designs. They are made with 1000 denier cordura fabric which is similar to what is used on backpacks. Only solid colors available. The back of the label features velcro so it will easily attach to your harness and will stay securely in place. Each label can be monogrammed with your dogs name or a saying as well as a symbol. Which harness label would you rather your dog wore?